The following op-ed piece submitted by Jen Lyle, SafeCare BC’s CEO, was published in The Vancouver Sun on January 26. In a Jan. 19 column, Christine Sorensen of the B.C. Nurses’ Union said staffing shortages are an issue for the health sector. She’s right. But missing in this conversation is that workplace injuries are a huge contributor to staffing shortages. 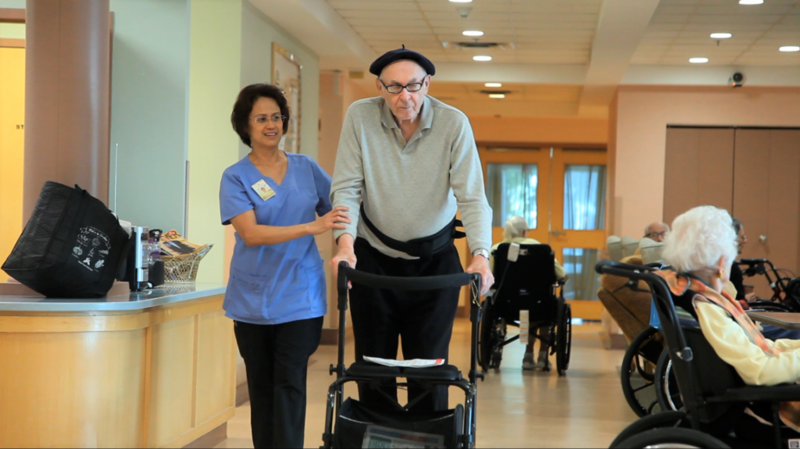 Continuing-care workers — those working in long-term care and home care and community health support — have one of the highest injury rates of all professions in B.C. While there has been some progress, the injury rate is still four times higher than the provincial average in long-term care. Over the past five years in this sector, nearly 350,000 work days have been lost to injury. That’s the equivalent of losing almost 1,400 full-time staff. Imagine any business or organization being able to operate with so many of its employees off work. Let me use an analogy that many people will appreciate. The value of rookie all-star Elias Pettersson to the Vancouver Canucks is the same as any health-care worker to their organization. When Pettersson or other players are injured, they must call up players to fill out the lineup. The same thing happens in health care. But what happens when health-care organizations already have a shortage of workers to call up? They end up working short-staffed or have more people working overtime. This can lead to more workplace injuries and burnout — something that not only impacts workers, but also the consistency of care. We are at a time when unemployment rates in B.C. and Canada are at a historic low, making recruitment even more difficult. All the more reason to ensure that staff who are in the sector are able to stay in the sector and not be forced out because of injury. What can be done? It starts by acknowledging that workplace injuries contribute to staffing shortages and then ensuring that everyone who has a vested interest in health care makes safety a priority. SafeCare B.C., which is celebrating its fifth anniversary this year, is the health and safety association for 28,000 B.C. continuing-care workers. We work with employers, workers and union and industry partners to develop education and training programs with the goal of creating safer, healthier workplaces. Last year, we had a presence in more than 30 communities and hosted 130 education and training events for 2,800 individuals. We partnered with two care homes in Abbotsford and Parksville to open satellite training centres to complement our own 30-seat training centre in Burnaby. We are committed to improving access to health and safety education by developing new online and mobile tools and resources. This includes a soon-to-be launched SafeCare B.C. app and web-based learning modules. We also continue to work with post-secondary schools to ensure that a greater emphasis on health and safety is included in program curricula, not only for nursing and health-care assistant programs, but also for those in health leadership. In addition, we are working with our members and partners to reduce barriers to education and training by creating programs that address some of the underlying factors that make access difficult. This includes diversifying how we deliver education, exploring funding opportunities to remove cost barriers and getting creative in making workplace health and safety concepts relatable and accessible. Reducing workplace injures alone won’t solve health-care staffing shortages, but we need to ensure that health-care workers are doing what they do best, instead of sitting in the press box on the injured reserve list. Jen Lyle is CEO of SafeCare B.C., an industry funded, non-profit association working to ensure injury-free, safe working conditions for B.C.’s continuing-care workers.